Recipes for Chicken and Rice with Sauce; Baked Rice Milanaise; Prosperity Sandwich; Ice Box Cake; and a Sidecar. The economy buzzed along mightily, at least until the last three months of the decade. Young people danced the Charleston to the sounds of hot jazz. Speak-easies became popular as some people looked for ways to circumvent Prohibition, and the movies learned to talk. In the world of food, things were looking up. Scientists were busy researching vitamins, and consumers were eating accordingly: more fruits, more vegetables, more milk. And technology was catching up to those trends, too. Farms were producing more than ever, and the process of canning foods that had been perfected during World War I now made produce accessible across the country in all seasons. And when Clarence Birdseye invented a way to freeze foods in 1922, people could eat foods from all over that still tasted fresh. On the other hand, the Baby Ruth bar and Wonder Bread were both invented in 1920, Popsicles came out in 1924, Hostess cakes and Kool-Aid were products of 1927 and Velveeta cheese was introduced in 1928. So Americans were getting healthier, but at the same time they weren’t. It’s a straightforward recipe for a straightforward dish: chicken, rice and a sauce. 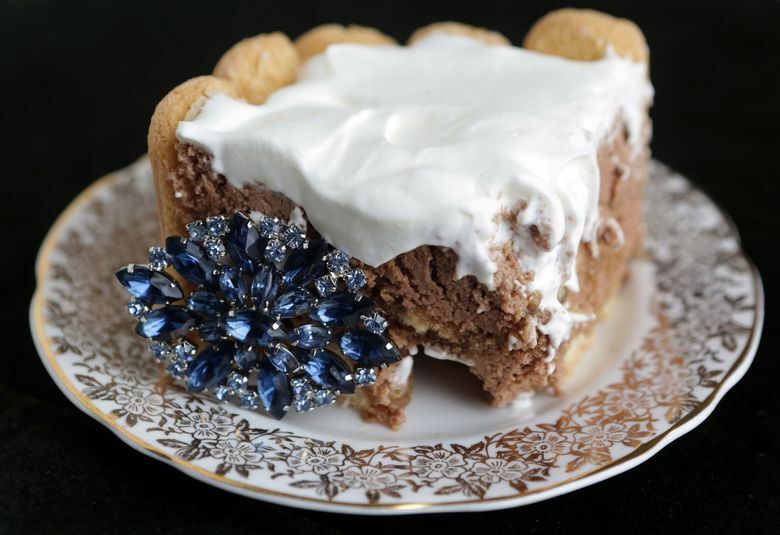 But when you eat it, you feel like you are biting into a sheer, rich indulgence. Why? Because you begin with a roux made from equal parts of butter and flour, and you use that to thicken milk and chicken broth. Then you thicken that sauce a little more with a beaten egg yolk and add just a splash of lemon juice. The sauce is incredibly rich. But what it isn’t, despite the name, is golden. The version I made was more cream colored. So I have changed the name, rather uncreatively, to Chicken With Rice and Sauce. Some of the decade’s side dishes were not any less decadent. I made Baked Rice Milanaise from the same cookbook. It’s just rice mixed with green pepper and onion — but then you add grated cheese to it and then you put more cheese on top when you bake it. Top it with tomato sauce and slices of a hard-cooked egg, and you have a dish unmistakably from the 1920s. It tastes even better than it sounds. 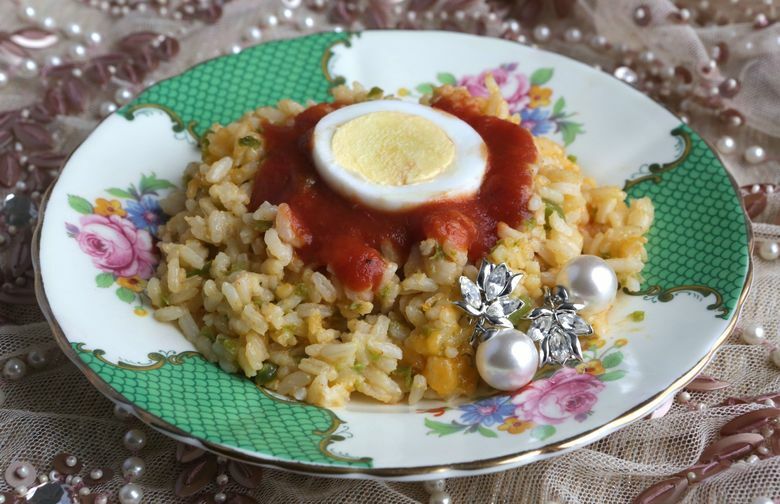 The rice goes perfectly with the onion and green pepper, and the cheese brings it all together. The tomato sauce is just the icing on the cake, in that it goes on top and adds a huge kick of flavor at the end. The slices of egg, to be honest, do not add significantly to the flavor, but they do look pretty. And since we are making rich foods from the ’20s, I decided to make a Prosperity Sandwich, although I am not entirely certain about the date of its conception. The Prosperity Sandwich was invented at the Mayfair Hotel in St. Louis, which of course also gave us Mayfair dressing. Mr. Wikipedia assures us that it was created in the 1920s, and I would hate to doubt anything that Mr. Wikipedia says. Besides, the folks at America’s Test Kitchen agree that it was the Twenties, though they may have just been listening to Mr. Wikipedia. The problem is the name: Prosperity Sandwich is obviously a reaction to the Depression and probably to President Hoover’s reported assurance that “prosperity is just around the corner.” But as we have already mentioned, only the last three months of the Twenties saw the Depression. 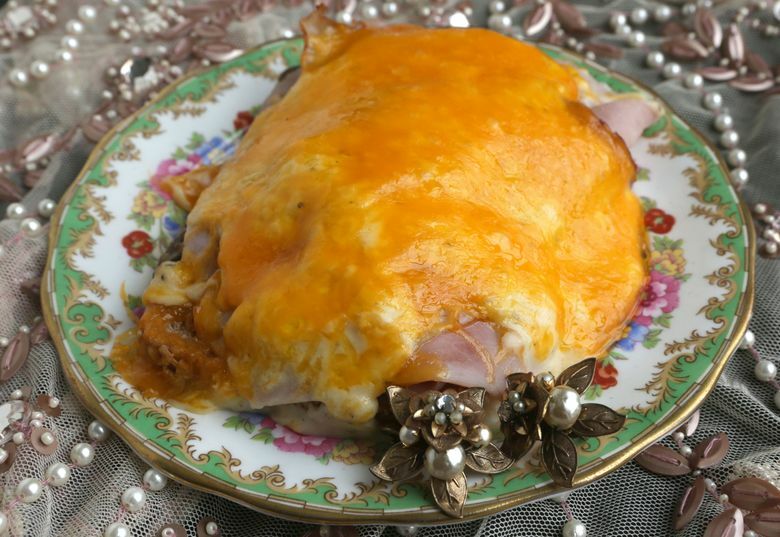 Still, the Prosperity Sandwich is related to the Hot Brown sandwich, which was unquestionably created at the Brown Hotel in Louisville in 1926. So the 1920s it is. And it’s a good thing, too, because this is a sandwich you won’t want to miss. It’s open-faced, with sautéed mushrooms and shallots on top of the bread, a rich (of course) cheese sauce on top of that, slices of ham and turkey (at the time, turkey was generally served only at the holidays), tomatoes and then cheese melted under the broiler on top. It’s ooey. It’s gooey. It’s spectacular. Dessert, you will not be surprised to learn, was also rich. I made an Ice Box Cake, which is a cake that you do not bake but you allow it to set in the refrigerator. For this particular cake, you line a pan with ladyfingers, both on the bottom and around the sides. Then you add a layer of what is essentially chocolate mousse. Then another layer of ladyfingers. Then another layer of chocolate mousse. Then you top it with whipped cream. Although the ladyfingers around the edge remain intact, the ones in the layers just dissolve into the mousse, giving it a most appealing texture. And the taste? It’s amazing. This is an easy-to-make dessert — if you don’t mind whipping egg whites — that will find an instant place in your repertoire. Finally, I made a cocktail. While Prohibition cut down on the number of people drinking in this country, it also had the effect of encouraging those who did drink to drink all the more heavily. And because the alcohol they were consuming was often of a poor quality, it was frequently mixed into cocktails to mask the taste. One of the most popular cocktails of the era was the Sidecar. It is a heavenly concoction made by mixing cognac or other brandy with sweet Cointreau and sour lemon juice. It is served cold, in a glass rimmed with sugar. I can see why it was such a hit. With a lovely balance of flavors and a sophisticated aura, it will make you want to roar. 1. Cook chicken using your favorite method; make sure the meat remains moist when finished. Cut into small pieces. Cook the rice according to the directions on the package. 2. Meanwhile, melt the butter in a medium pan over medium heat. Add the flour and cook, stirring constantly, until the mixture begins to bubble. Gradually add the milk and chicken broth and cook until smooth and thickened, stirring constantly. Add salt to taste and pepper. Just before removing from heat, add the egg yolk and lemon juice, stirring rapidly. 3. If necessary, reheat the chicken in a little of the sauce. 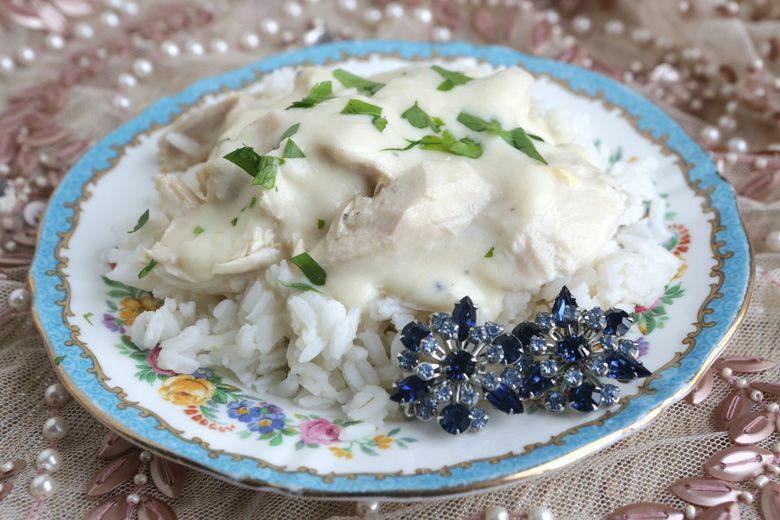 Serve with the chicken in the sauce in the middle of a platter surrounded by rice, with parsley sprinkled on top. 1. Preheat oven to 375 degrees. Cook rice according to directions on package. While still hot, stir in ½ cup of the cheese and the paprika. 2. Meanwhile, heat oil in a small pot over medium heat. Add green pepper and onion and sauté until cooked and tender, about three to five minutes. Add the pepper and onions to the rice mixture and transfer to a casserole or baking dish. Top with the remaining 3 tablespoons of cheese. 3. Bake 15 minutes. Pour tomato sauce on top or serve on the side, and place slices of egg on top. 1. Melt 1 tablespoon butter in large saucepan over medium-high heat. Add mushrooms, shallot and salt, and cook, stirring occasionally, until well-browned, five to seven minutes. Transfer to bowl. 2. Melt remaining 4 tablespoons butter (you can use the same saucepan) over medium heat. Stir in flour and cook for one minute. Slowly whisk in milk and bring to simmer. Reduce heat to low and cook, stirring occasionally, until thickened, four to six minutes. Off heat, stir in ½ cup cheddar, mustard, Worcestershire sauce and pepper; set aside. 3. Adjust oven rack five inches from broiler element, and heat broiler. Line rimmed baking sheet with aluminum foil and spray with vegetable oil spray. Toast bread slices in toaster or arrange on prepared baking sheet and broil until toasted, 1 ½ minutes per side. 4. Divide mushroom mixture among toasted bread slices. Arrange 2 ounces turkey, 2 ounces ham and 2 slices tomato over mushrooms on each slice of toast. Spoon ½ cup cheese sauce evenly over each sandwich and sprinkle with remaining 1 ½ cups cheddar. Broil until cheddar is browned, three to five minutes. Let cool five minutes before serving. 1. In a double boiler over simmering water, combine the water, sugar and chocolate; stir until smooth. Beat egg yolks and add them to the chocolate mixture. Cook, beating constantly, for one minute. Remove from heat. 2. Using a mixer if you have one, cream the butter and slowly add the powdered sugar and vanilla. Add this butter mixture to the cooled chocolate. 3. In a clean bowl, beat the egg whites until they form stiff peaks, and gently fold into the chocolate mixture. 4. Line an 8- by 8-inch cake pan with waxed paper. Line the edges with ladyfingers that you have cut in half across the middle, and arrange a layer of ladyfingers across the bottom. Add half of the cake mixture and smooth it out until it is level. Add another layer of the ladyfingers, and cover with the remaining cake mixture. Cover and place in the refrigerator at least a few hours until set. 5. Serve with whipped cream on top. If using commercial whipped cream, you can add that before refrigerating. If you whip your own cream, it will be best to do so shortly before serving. 1. Rub rim of a cocktail glass with a wedge of lemon. Dunk glass, rim-side-down in a plate of sugar so some of the sugar adheres to the rim. Set aside. 2. Place Cointreau, cognac and lemon juice in a cocktail shaker and shake with ice. Strain into glass.